Clement Clarke Moore (1779 - 1863) wrote the poem Twas the night before Christmas also called "A Visit from St. Nicholas" in 1822. It is now the tradition in many American families to read the poem every Christmas Eve. The poem 'Twas the night before Christmas' has redefined our image of Christmas and Santa Claus. 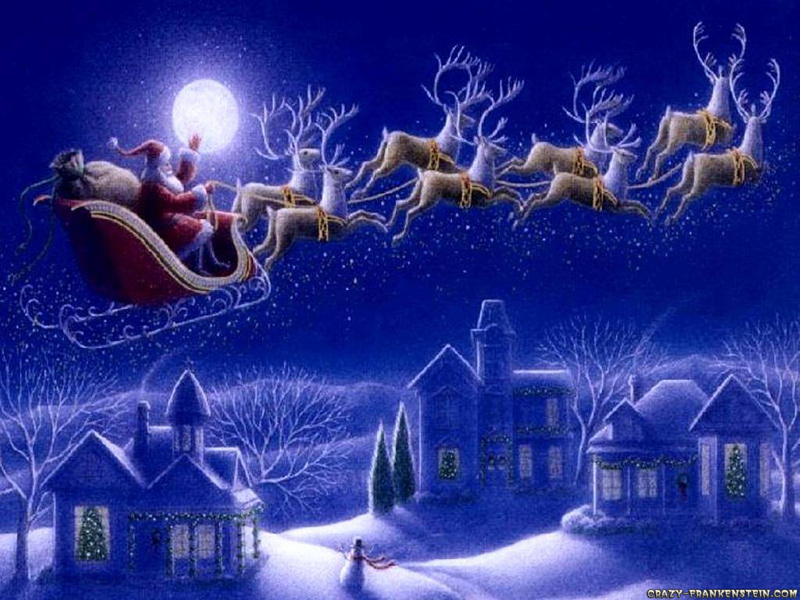 Prior to the creation of the story of 'Twas the night before Christmas' St. Nicholas, the patron saint of children, had never been associated with a sleigh or reindeers! Clement Moore, the author of the poem Twas the night before Christmas, was a reticent man and it is believed that a family friend, Miss H. Butler, sent a copy of the poem to the New York Sentinel who published the poem. The condition of publication was that the author of Twas the night before Christmas was to remain anonymous. The first publication date was 23rd December 1823 and it was an immediate success. It was not until 1844 that Clement Clarke Moore claimed ownership when the work was included in a book of his poetry.